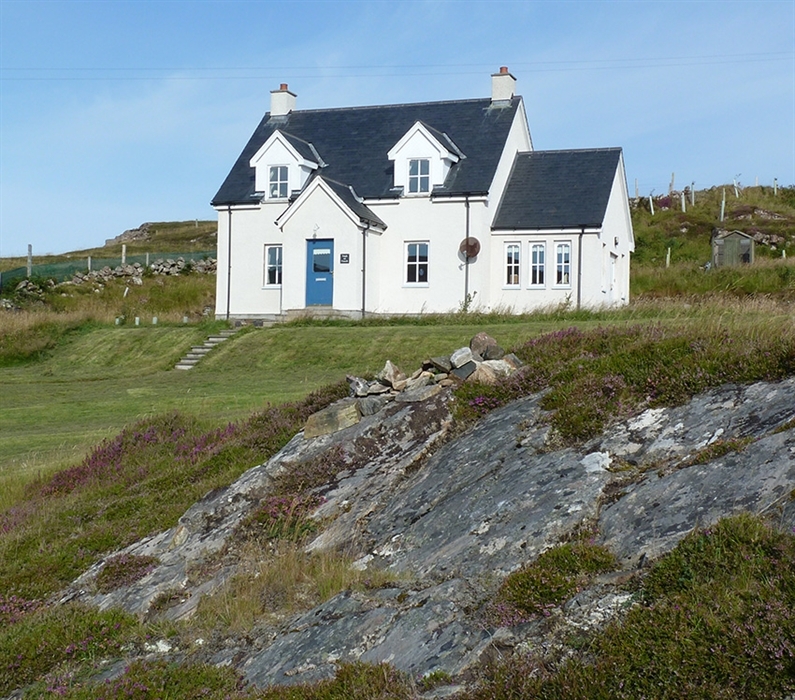 Taigh na Fraoch is a modern, very comfortable house built in the style of a traditional Highland cottage with a large enclosed garden which is mainly grass, heather and rock. 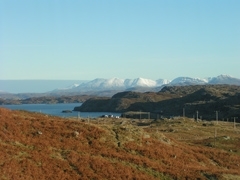 The cottage nestles into the heather covered moorland amidst the dramatic scenery of beautiful, unspoilt Assynt on the west coast of Sutherland. 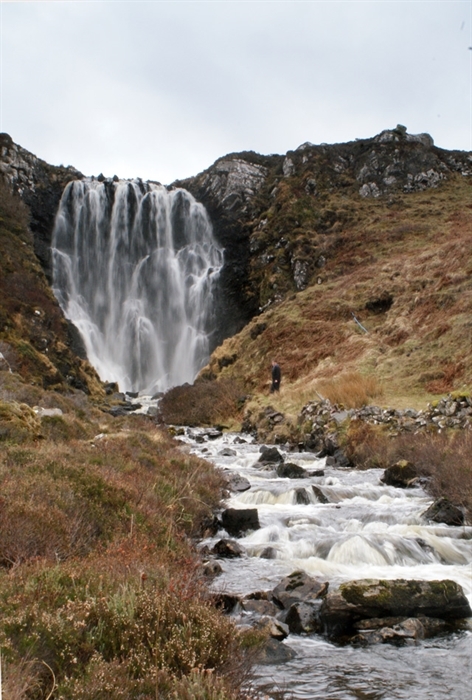 Quinag and the more northerly mountains can be seen from the house and by walking to the top of the garden and climbing the stile, the effort is repaid tenfold by views of the classic Assynt arc of hills and Clashnessie waterfall. 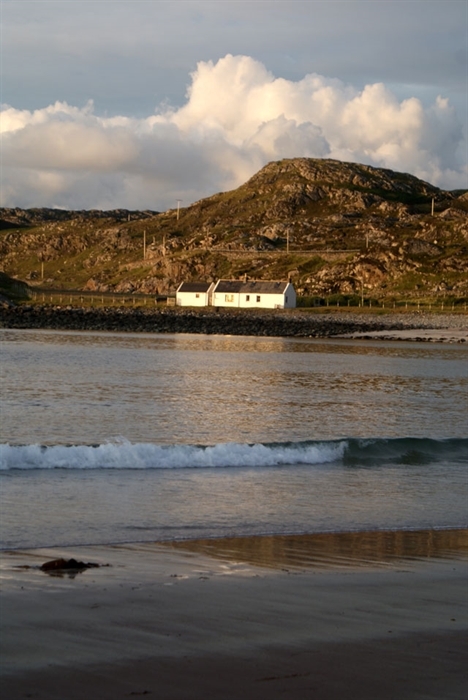 A short walk enables the visitor to enjoy the sweeping, sandy beach of Clasnessie Bay. 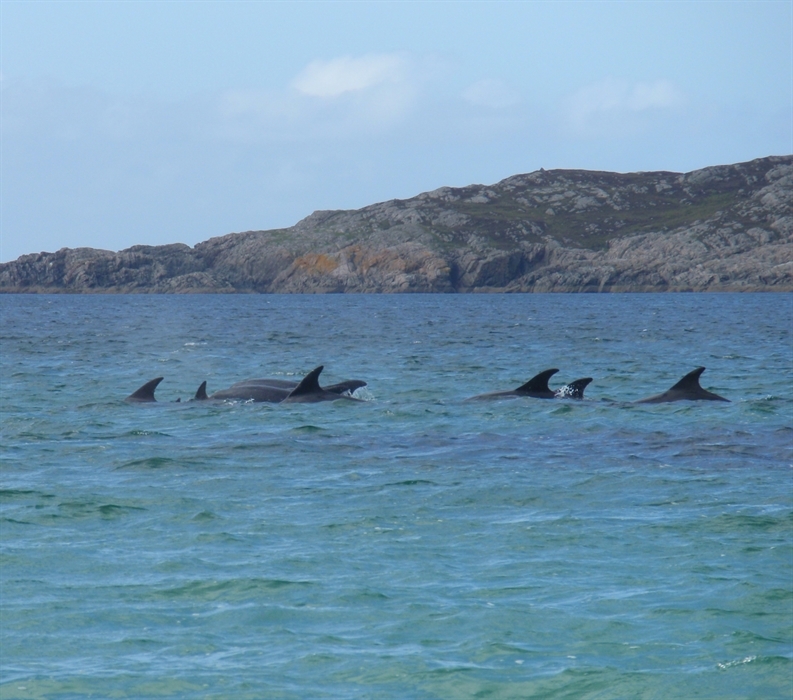 The popular fishing village of Lochinver with its shops and restaurants is around eight miles away with the nearest city of Inverness a 2 hour drive. There is a large enclosed garden which is mainly grass, heather and rock, with stone seats to allow the visitor to enjoy the magnificent views. Deer are regular visitors to this area and can sometimes be spotted on the skyline. The accommodation itself is on 2 levels, with good access for those who are less active and aims to provide all the comforts of home. Accommodation: 1 double bedroom, 1 twin bedroom, 1 single bedroom with pull out guest bed, sitting room, sun lounge, kitchen, utility room, shower room, bathroom. The cottage has total control central heating, an open fire, free Wi Fi and is well stocked with books, games and DVDs for days when visitors feel in need of a rest from all the outdoor activity. The area is a nature lover's paradise, offering spectacular rugged mountain and coastal scenery, beautiful and secluded sandy beaches, fascinating geology and a wide range of bird and animal wildlife. Fishermen are also spoilt for choice with trout fishing on numerous hill lochs, sea fishing from the shore and salmon fishing on the Inver and Kirkaig rivers.